Characteristics: Medium- to large-sized, dark-green obovate leaves in a dense shrub. Growth & Spread: Fast rate grower. Height and spread around 1.2 m and up to 1.5 m.
Flourishing Season: Large, brilliant white sterile flowers engulf smaller white to pink fertile flowerheads and bloom in early to mid-summer until early autumn. 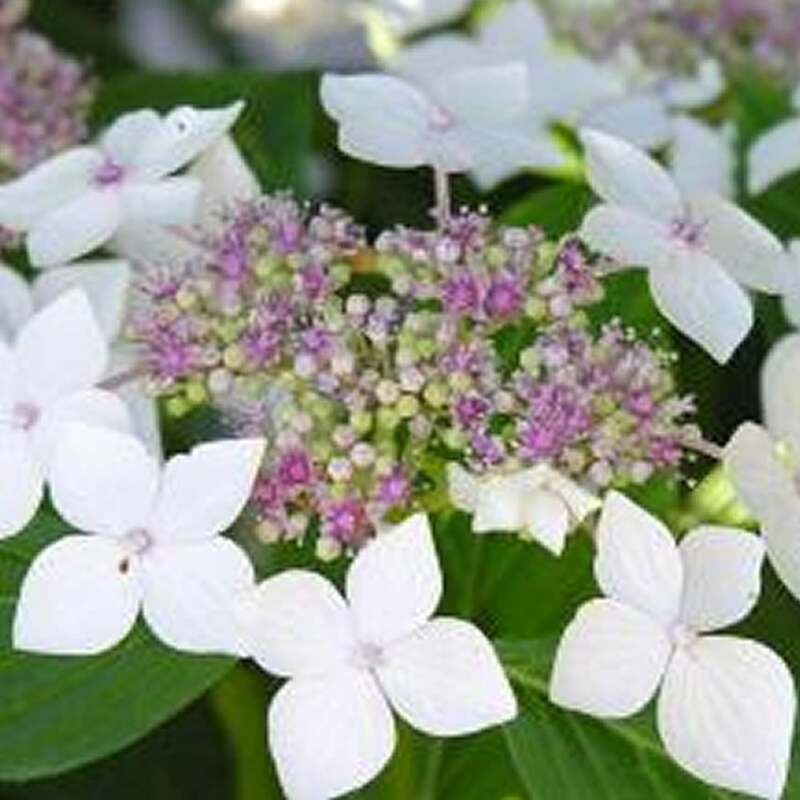 “Teller White” is one of the more colour-stable Hydrangeas. Regardless of soil pH, this plant exhibits delicate large, semi-cupped petals which are generally clustered on the exterior of the flowerhead, but also are interspersed. These large flowers often have hints of pink and overshadow their fertile and smaller counterpart florets, which are generally white to pink. Like many Hydrangeas, they are good to prune after the flowering season or at the beginning of spring before significant growth. However, they can also be aggressively pruned before the start of the season if the plant has become spindly or suffered severe frost in winter.